Featheredge Fencing and Boards - Blamphayne Sawmills Ltd. Ideal for use as a good, strong garden fence. 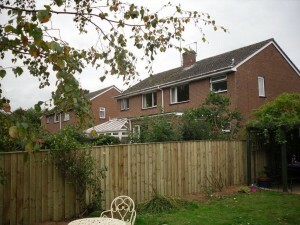 Featheredge can be used to create a closeboard fence that is strong and sturdy ideal for use around a garden perimeter. Blamphayne Feather Edge Fencing boards Tanalised treated timber for a long life.